The Head of our Construction and Engineering Team, Rob Langley, has used his year as President of the Newcastle Law Society to raise money for two good causes. Rob arranged two events with the Society – a summer party at HMS Calliope with presentations and displays by the Sea Cadets and an annual dinner at the Civic Centre. 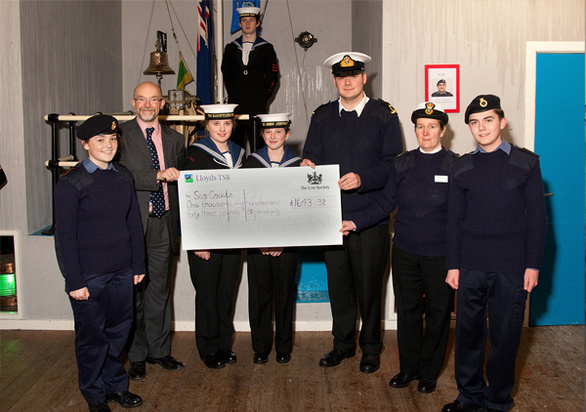 Members of the Society attended the events and raised £3,200, providing £1,600 for both the Soldiers, Sailors, Airmen and Families Association (SSAFA) and the Sea Cadets. Rob said: “Nowadays there is a pressing need to do more to help young people to gain confidence to make their way in a complex world, and a tragically growing need to look after servicemen and women who are injured in serving our country. For more information on how Rob has helped the charities please contact him on 0191 211 7975 or email [email protected].